Do LaB’s Lightning in a Bottle, California's premiere music, arts and camp-out festival, takes place in less than 10 days. 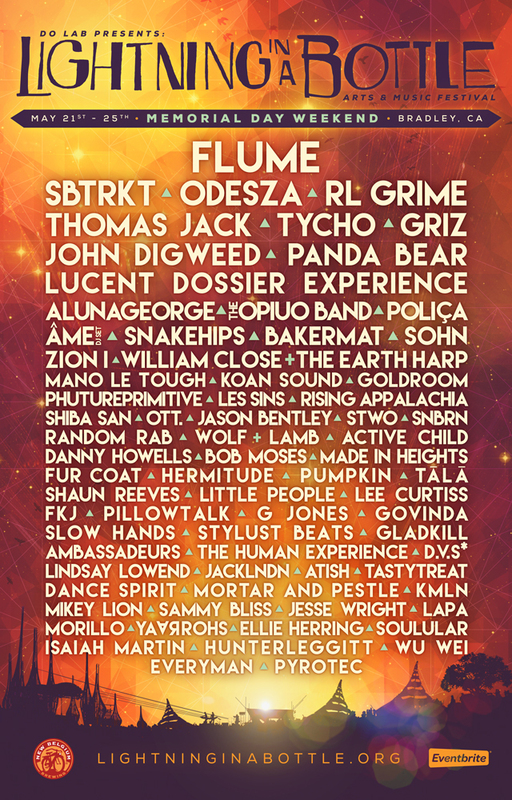 The lineup for their 10-year anniversary includes international favorites Flume, SBTRKT, Tycho, RL Grime, AlunaGeorge, Odesza, Panda Bear, and Goldroom. The 5-day camping festival will take place 25 minutes north of Paso Robles on California’s central coast at San Antonio Recreation Area in Bradley, CA over Memorial Day Weekend (May 21 - 25, 2015). 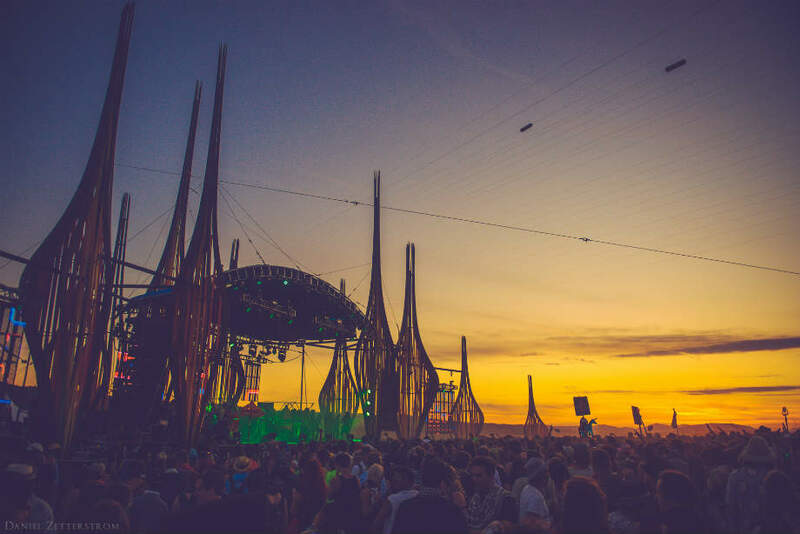 In addition to world-class music, Lightning in a Bottle is also known for its mesmerizing stage designs, stellar performance art and one-of-a-kind art installations alongside opportunities to engage with yoga and dance classes, motivational speakers, and health-conscious workshops. 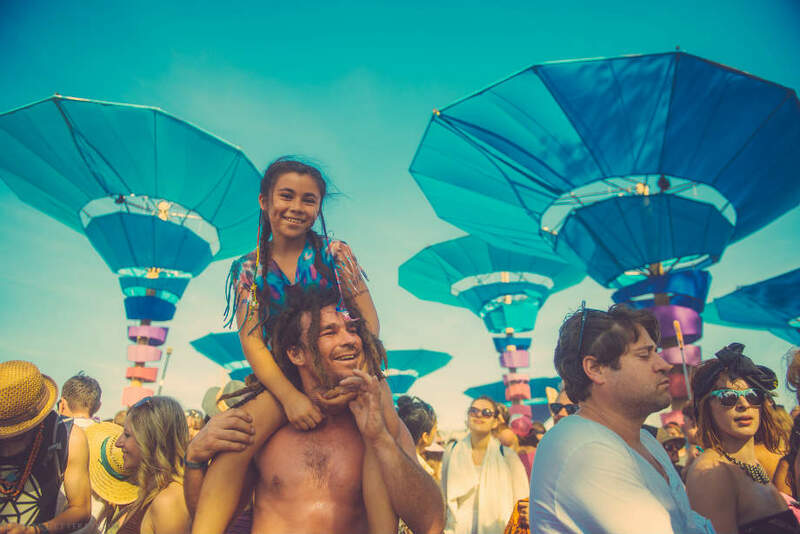 These are held at the festival sanctuaries - The Temple of Consciousness, The Village, and The Learning Kitchen - and create an overall sense of connection making Lightning in a Bottle one of the most innovative and beloved festivals on the planet. Lightning in a Bottle, or LIB for short, sets the standard as the most environmentally conscious festival in America. It has received the Outstanding Award four years running from A Greener Festival for its healthy food vendors, free water stations, composting and recycling infrastructure, pack-it-in/pack-it-out policy and other green initiatives. This year will also see other improvements including additional large-scale shade structures, upgraded boutique camping packages, bigger installations and a new festival layout design to ease and enhance everyone's LIB experience! Check out the official 2015 Lighting in a Bottle video Anything is Possible, which illuminates the impossible wonder that is LIB. Featuring music from performers Flume and the Ambassadeurs, this year’s video focuses on core tenants of Lightning in a Bottle: nature, growth and freedom of self-expression. Tickets are on sale now at Lightning in a Bottle’s website. Full weekend passes start at $260.